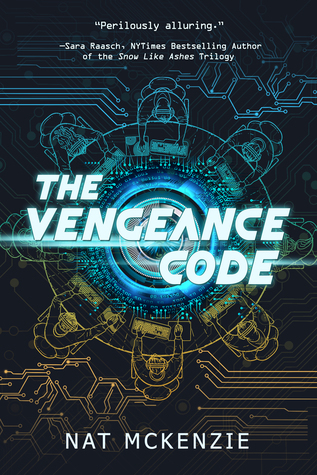 Today I am interviewing Nat McKenzie, author of the new science-fiction novel, The Vengeance Code. DJ: Hey Nat! Thanks for agreeing to do this interview! Nat McKenzie: I have several books published under Natalie Whipple, but for my new focus in sci-fi I’m taking on a new pen name as well. I have a BA in English Linguistics with a minor in editing, and I have always been in love with video games, anime, and good food. DJ: What is The Vengeance Code about? DJ: What were some of your influences for The Vengeance Code? Nat: The biggest influence is my love of eSports, particularly pro League of Legends. I love the narratives of the teams and players, and I wanted to bring that drama to the page. I also am fascinated with the evolution of virtual reality, its challenges and benefits. I wanted to explore a flawed VR concept, rather than the many fictional VR scenarios in which is works perfectly. Nat: Linix Grey would be the main character in many ways, but there is a second pov in the book from Cache Harrington. Linix is headstrong and quite literally a genius. While she is abrasive, she also cares deeply for the few people who are close to her, and she hates to see injustice. She is determined to change her world, even if it means giving up everything she has. Cache comes from the opposite direction, having seen how impossible it is to change their world…he’s kind of given up at the beginning of this story. He walks away from his inheritance in favor of eSports, unable to shoulder the dark burden of his father. He’s sensitive and clever, but also cynical and calculating. And he’s not a “present” character, but there are also several “video transcriptions” from Linix’s father, Stephen Grey, who invented “Total Submersion Virtual Reality.” It gives us a window as to what happened before they went underground and why Linix has such strong hatred for certain people (Cache included). DJ: What is the world and setting of The Vengeance Code like? Nat: It takes place in Bunker 8, a massive (like 13 Levels the size of NYC massive) underground bunker built by the richest people in America at the time (moderately near future). Instead of investing in fixing problems, they prepared for what they saw as inevitable. When it all went to crap, their bunker was ready to save them (plus millions of refugees that now owe them their lives and work out their days in factories that keep the Bunker going and the rich comfortable). The main form of entertainment and escape is virtual reality, but it is also used for nefarious purposes. Most everyone knows the governing system and class system is messed up, but people accept it because they are alive when most of the world isn’t. I could go into all the details of how Bunker 8 works and sustains itself, but that’ll take way too long. You’ll just have to check it out in the book. DJ: What was your favorite part about writing The Vengeance Code? Nat: This book was a “just for me” project in a lot of ways. I had been writing a lot of stories to appease a market or try to fit in with traditional publishing, but The Vengeance Code was an act of rebellion against those expectations and really an ode to all the things I love. It was a blast to write, a beast to edit, and I’m proud of what I’ve made. Nat: You know, I’m not sure. Some might talk about the political aspects, though this was written first in 2014 long before the current political climate. Some might really focus on the eSports and VR aspects. Others may think it’s utter crap and completely implausible. But that’s all in the readers’ hands, not mine. DJ: Did you have a particular goal when you began writing The Vengeance Code? Was there a particular message or meaning you are hoping to get across when readers finish it? Or is there perhaps a certain theme to the story? Nat: While I didn’t start out with a message in mind, I suppose there’s a theme of “righting wrongs, even when it feels impossible.” There are surely revolutionary/rebellious tones. Stories can mean one thing to the author, but readers may see something entirely different. DJ: Now that The Vengeance Code is released, what is next for you? Nat: I will continue work on the sequel! There will be at least three in The Vengeance Code series. Hopefully that’ll be all before I get to move on to a space opera in the Guardians Of The Galaxy vein. 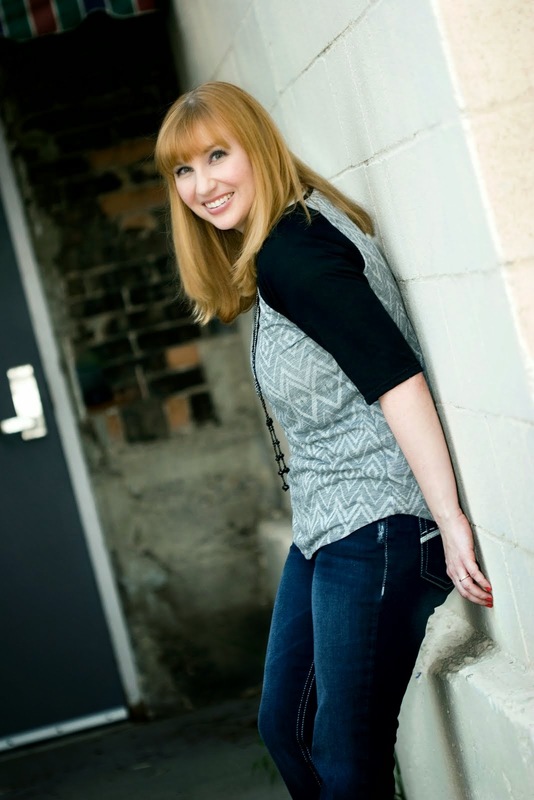 Natalie Whipple grew up in the Bay Area and relocated to Utah for high school, which was quite the culture shock for her anime-loving teen self. But the Rocky Mountains eventually won her over, and she stuck around to earn her degree in English linguistics at BYU, with a minor in editing. Natalie still lives in Utah with her husband and three kids. She is the author of the TRANSPARENT series, HOUSE OF IVY & SORROW, the I’M A NINJA series, FISH OUT OF WATER, SIDEKICK, MY LITTLE BRONY (under K.M. Hayes), and THE VENGEANCE CODE (coming Spring 2018 under Nat McKenzie). In addition to that, she was on the writing team for the cRPG Torment: Tides of Numenera, out now from InXile.